Girls’ Outdoor Adventure in Leadership and Science (GOALS) is a free summer science program that teaches hands-on science through backpacking trips in the Sequoia National Park wilderness. Over the course of 2 weeks in the Sierra Nevada mountains , students will learn ecology, earth science, chemistry, teamwork, and leadership skills through hands-on lessons with UC Davis scientists. GOALS was created to increase opportunities for high school students who identify with girlhood (we welcome all trans*, cis, genderqueer, and non-binary youth) from backgrounds traditionally underrepresented in STEM (Science, Technology, Engineering and Math). Students are paired with a UC Davis graduate or post-doctoral student mentor, who will serve as a mentor before and after the immersive summer program. Mentor-mentee pairs will meet informally throughout the year following, as well as attend follow-up events to help prepare participants for college applications and expose them to a variety of STEM careers and female STEM role models. GOALS will be offered for the first time this year! The immersive program takes place July 21st to August 5th, 2018. Be available for the trip, scheduled to take place from 07/21/2018 to 08/05/2018, as well as a pre-trip hike one weekend day in June 2018 (date TBD), and approximately four meetings with a mentor throughout the 2018-2019 school year. You do NOT need prior outdoor experience, your own backpacking gear, or know how to camp – GOALS provides all the gear and will teach you everything you need to know! What can I expect from the trip? GOALS is an outdoors experience that will expose you to hands-on science projects. GOALS means working in tight quarters with a 7 other girls. Some of the challenges you can expect include keeping a positive attitude, physical endurance (hiking for 6 miles with a 40 lb backpack), being away from home (and your phone) during the 2 week trip, getting along with your peers night and day, critters and dirt (your tent mate’s smelly socks), being asked questions that no one knows the answers to (welcome to science), and creative problems solving, to name a few. While some of these may sound a little scary, we believe they are also what make the experience so much fun and and such a great learning experience. We are confident that you will have fun and want to make the outdoors a bigger part of your life. 7/21: Orientation at UC Davis, where we’ll get to know each other and our gear. 7/22-7/23: Drive to Sequoia Kings Canyon National Park. We’ll go over basic outdoor skills and learn how to pack our backpacks, and go for a hike to get introduced to the area. We’ll spend our first night at a “front-country” campsite in the park, where we’ll have access to the car, bathrooms, and running water. 7/24-7/28: First backpacking trip to Twin Lakes! While hiking and camping, you’ll learn about all kinds of scientific topics, get to know your team better, and participate in citizen science projects. We’ll hike back to our front-country campsite on 7/28. 7/29-7/30: We’ll spend two nights back at our front-country campsite. While we’re there, we’ll meet with park rangers and learn more about the national park, as well as go for another day hike and learn about independent projects. 7/31-8/3: Second backpacking trip to Emerald Lake and Pear Lake! We’ll continue to learn various scientific topics, participate in hands-on activities, and everyone will get time to work on their own independent experiment. We’ll hike back to our front-country campsite on 8/3, where we’ll spend the night before returning to Davis. 8/5: Prepare short presentations about independent projects in the morning, and present to parents at our final symposium in the afternoon. If you cannot fill out the online application form, please email goals.ucdavis@gmail.com or fill out the contact form at the bottom of this page to receive a downloadable application. 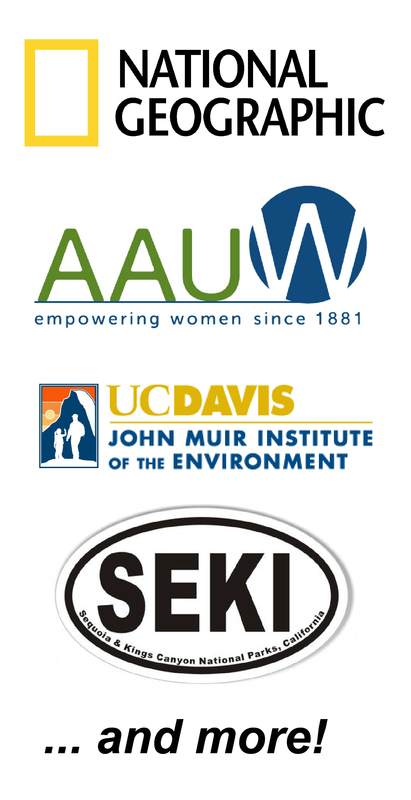 Printed applications should be mailed to: GOALS at UC Davis, John Muir Institute for the Environment, The Barn, 1 Shields Avenue, Davis, CA 95616. You’ll also need have an adult supporter complete a support form. Supporters can be teachers, coaches, spiritual leaders, family friends, or any adult not related to you who knows you well and supports your application! The application and support form do not need to be received in any particular order, but both must be received by April 23rd, 2018. If you have any questions please send us an email to goals.ucdavis@gmail.com or fill out the contact form at the bottom of this page. We’ve extended our deadline: All applications and support forms must be received by April 15th, 2018!